According to ReFED, U.S. restaurants generate 11.4 million tons of food waste annually at the cost of $25 billion per year. Alarming statistics such as this is making food waste a popular topic of discussion within the foodservice industry and causing restaurant owners across the nation to commit themselves to reduce food waste. As important as it is to know what food is leaving the kitchen, it’s equally important to know what happens to unused or uneaten food. Whether it’s customers leaving meals untouched or unused ingredients that end up in the garbage, restaurant owners need to realize they’re wasting a significant amount of money by generating abundant amounts of food waste. Follow these steps to learn how to reduce food waste in your restaurant. Before you can eliminate food waste, you first have to understand what it is and where it comes from within your restaurant. Generally speaking, food waste refers to food that is discarded, unused, lost, or goes uneaten by the customer. There are many occurrences across the food supply chain that can result in waste such as, primary production and processing to distribution and consumption. Not only does culinary waste impede cash flow but what makes it so precarious is that it remains hidden behind normal restaurant operations. From overstocking inventory to over-prepping and spoilage to half-eaten meals, these are all costly forms of food waste that are often concealed by regular restaurant operations. Think about it. Does a busser let a manager know every time they toss a half-eaten entree in the garbage during a Saturday dinner rush? Does your chef tell you every time they toss out a half case of lemons because they spoiled? The answer is, probably not. In the foodservice industry, there are two basic types of food waste: pre-consumer and post-consumer. Let’s take a look at the difference. Pre-consumer waste (a.k.a kitchen waste) refers to food that never leaves the kitchen. For instance, an ingredient tucked away in the walk-in cooler past its expiration date is now money down the drain. Poor food prep techniques such as improper slicing and dicing can lead to added kitchen waste because you’re not getting the most out of the ingredients. On the other side of the food waste equation is post-consumer waste. Post-consumer waste is food purchased by restaurant patrons but not eaten. The most common example of this type of waste is leftover food on a customer’s plate. The best way to get a handle on the food waste your restaurant is producing is by conducting a food waste audit. The objective of an audit is to uncover places where you’re generating food waste so that you can implement strategies to help eliminate it. When tracking food waste, it’s essential to find its source. Keeping a record or journal of how much food is going to waste and how many guests are coming in to dine is the best way to understand your restaurant’s food waste problem. Develop a system for the staff to keep notes on what is being thrown out, the reason it’s being thrown out, and how much food is going into the trash or compost bin. Depending on the size and logistics of your restaurant, you might want to have one or two dedicated employees tracking this information for the entire restaurant, or you may want to have each employee monitor their assigned station. Either way, find a method that works best for your operation and make sure to collect data during both peak and non-peak times over an extended time, so you get an accurate sample size. Pay close attention to the amount of food diners purchase, but do not eat. For instance, when a dinner party orders multiple appetizers, but then leaves a large portion of their entrees untouched or ask for doggie bags. It’s worth evaluating this information to see how much it adds up. Also in your audit, remember to make notes about what the weather is like that day or events happening around the community. Data like this is useful for determining your restaurant’s future customer volume and can help account for any anomalies in sales volume. For example, your audit may show you have an average 250 guests come in for Sunday brunch when it’s 80 degrees and sunny out, but that number drastically drops to less than half that amount during the winter. Tracking this information allows you to identify customer trends and plan inventory purchasing around those findings. The results of your food waste audit should help reveal actionable data that you can use to help reduce food waste. Prevention is the key to reducing food waste. Knowing how to prevent waste in your restaurant can save you a great deal of money and significantly cut food costs. Here are some ways you can reduce food waste and increase your bottom line. Using proper food storage techniques will substantially increase the shelf life of your inventory. First, ensure that you’re storing all food items in accordance to all applicable health codes. Use only appropriate containers for storage at precise temperature levels. You can also develop a labeling system for your kitchen staff so that containers with perishable products have the date they were received, the expiration date, and the amount of product in the container. Lastly, take the necessary precautions to prevent cross-contamination such as storing raw meat on the bottom shelves of your walk-in cooler. The placement of the raw meat on the bottom shelf will ensure the juices don’t run down and contaminate the food stored below it. Another prevention technique along the same lines as proper food storage is the first-in-first-out (FIFO) method. Using the FIFO method, chefs will organize and rotate ingredients so that older items will be used before newer ones to help reduce spoilage. For example, if pizza dough is prepared on Monday and then again Wednesday, the remainder of the dough from Monday should be used before (first) the dough made on Wednesday. These days, a restaurant POS system (point of sale) is a must-have if you’re managing an eatery. Not only do they facilitate the order process and communication between the front of house (FOH) and back of house (BOH), but they can also help you monitor inventory levels, food costs, margins, and purchase orders. 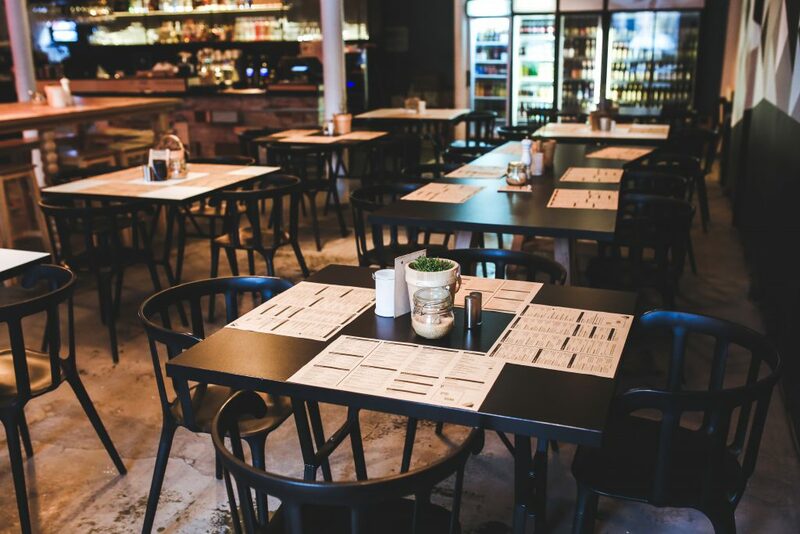 Companies such as Restaurant Manager design POS systems with automated tracking and reporting capabilities to provide restaurants with powerful business analysis tools. Your staff can better plan and prep for services because of the system’s ability to monitor stock inventory of all recipes and forecast inventory requirements based on menu and sales performance. For example, a POS system can show you that you’re only using 25 pounds of potatoes each week even though your weekly order is for 50 pounds. It can also raise attention that potatoes are only being used in 5 out of the 15 dishes on your menu. With the use of POS inventory management software, you will notice a significant reduction in the amount of food that goes unused and minimizes any over-purchasing and overproduction resulting in increased savings. A POS system can be an effective resource to analyze the profitability and popularity of each item on the menu. Moreover, the results obtained from a simple analysis will give you the opportunity to review and condense the menu. Shrink the menu down to only the dishes that are selling to help eliminate spoilage of unused ingredients. Shrieking your menu can be made even easier by repurposing ingredients across multiple dishes. Using the same ingredients across numerous dishes can help minimize waste and create a more sustainable menu. Use chicken from tonight’s dinner special for tomorrow’s soup of the day or yesterday’s bread that has gone stale as croutons for salads. Your food waste audit should examine if you’re serving guests excessively large portions. Use tools like portion scales and portion spoons, so you and employees know the exact amount of food that gets plated for each dish. Train kitchen staff and standardize recipes to make sure that portion sizes are plated precisely the same every single time. As for your menu, you may want to think about offering portion sizes for some of your larger or more popular menu items. For instance, you can charge $8.00 for a large bowl of chips and guac and $5.00 for a small bowl. Using your POS system, you can easily update your menu to reflect these changes. Speaking of training kitchen staff, it’s essential that the entire team work towards the common goal of reducing food waste. Offer chefs and prep cooks guidance on cutting techniques to get the most out of ingredients. Also, encourage feedback from employees about ideas they have to help waste reduction efforts further. Lastly, after all these efforts, if you still notice that your restaurant is throwing away an ample amount of food, consider some alternatives. Donate leftover food that is still safe for consumption to local food banks and offer food scraps to local farms to use as animal feed. Just because your restaurant no longer has a use for the food doesn’t mean it can’t be put to good use somewhere else. Understanding how to reduce food waste in your restaurant is an ongoing process and doesn’t happen overnight. However, with the right attitude and strategy, you will see your efforts pay off in the long run. Food waste can be a challenging and tedious problem to fix. It’s essential that you regularly monitor the waste produced in your restaurant and make changes to your strategies as necessary. Utilize these resource tools offered by the EPA to monitor and manage food waste. Always pay attention to your customers ordering behaviors and trends to ensure your menu is fulfilling their appetites, but reducing waste at the same time. Never waste ingredients or money on dishes that aren’t being ordered. Make sure new employees are adequately trained and knowledgeable on food waste reduction. Even after you put strategies into place and you’re starting to notice a significant decrease in waste, still try to find more innovative ways to continue efforts.